Author photograph from official website. There are multiple authors with the name Iain Banks. Please do not combine this entry with any of them. The Iain Banks author entry is correctly split into sections for the different authors, and the books of Iain M. Banks listed there are included here by aliasing. Join us for a reading group discussion of Consider Phlebas by Iain M. Banks! In the midst of a war between two galactic empires, a shapechanging agent of the Iridans undertakes a clandestine mission to a forbidden planet in search of an intelligent, fugitive machine whose actions could alter the course of the conflict. Iain M. Banks discusses Stonemouth. Iain M. Banks, The Player of Games. Iain M. Banks reads from Surface Detail. 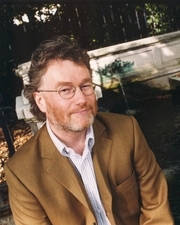 Iain M. Banks is currently considered a "single author." If one or more works are by a distinct, homonymous authors, go ahead and split the author. Iain M. Banks is composed of 7 names. You can examine and separate out names.